I am sure it is much, much, more than that and you will find a lot more information on that below. How about Uranium and Plutonium??? 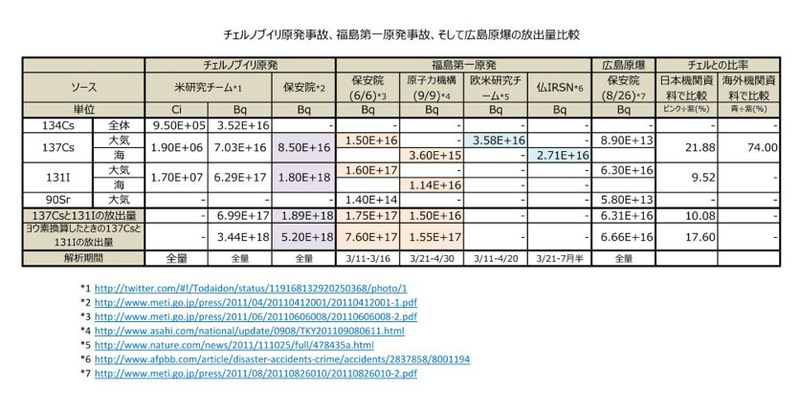 The total contamination from Fukushima has been revised so many times by Tepco and the government, it is almost impossible to know “the lastest” truth. Probably this is what they intended to do. However, mixing the analysis of nature.com and IRSN, even if its only Cs, the contamination situation is already as bad as Chernobyl. Thinking about Fukushima has ZERO hope to settle down, it is likely to be way worse in future. According to the assumption, the total emission of Cs-137 is 74% of Chernobyl. This only focuses on Cesium. Taking other radioactive materials into consideration,now may be the point of Fukushima to catch up with Chernobyl.